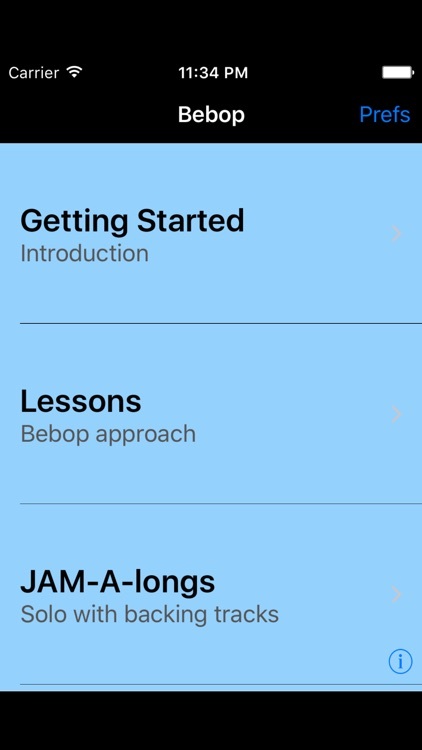 This latest in the iImprov series from Jazz Apps Mobile is designed to help take the mystery out of the language of Bebop. 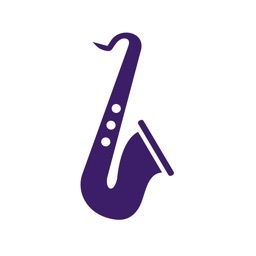 There are 9 comprehensive lessons and 8 JAM- A-longs. 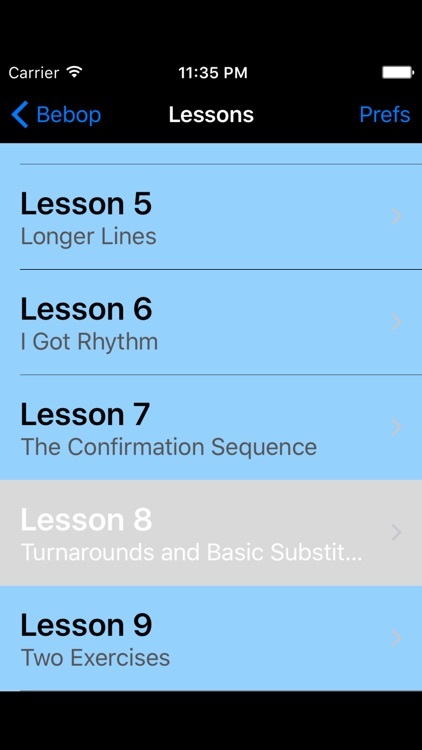 Each lesson contains a detailed explanation as well as exercises, transposable notation and tempo-adjustable audio examples. 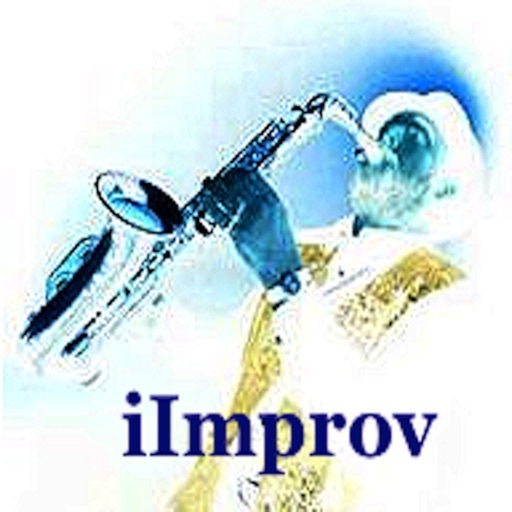 Many of the concepts are also demoed by saxophonist Tony Bray at the end of the lessons. 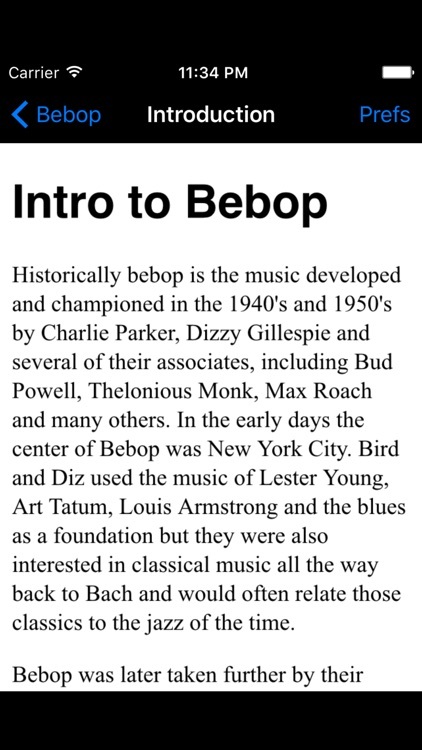 - How to fully realize the bebop scale through strategic placement of half steps to ultimately include all twelve notes of the chromatic scale while maintaining appropriate chord colors. - How to develop longer phrases. - A breakdown of the Confirmation sequence. 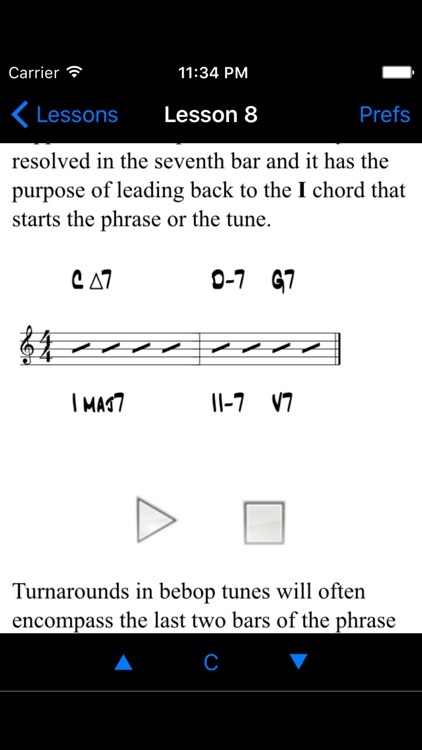 - Various approaches to playing over I Got Rhythm changes. 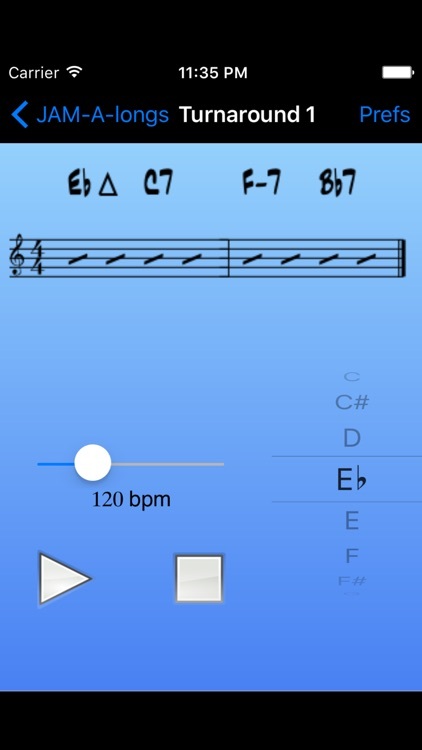 As with other other Jazz Apps Mobile apps, you can set the notation clef and the overall transposition for your specific instrument and there is balance control for the JAM-A-Longs.